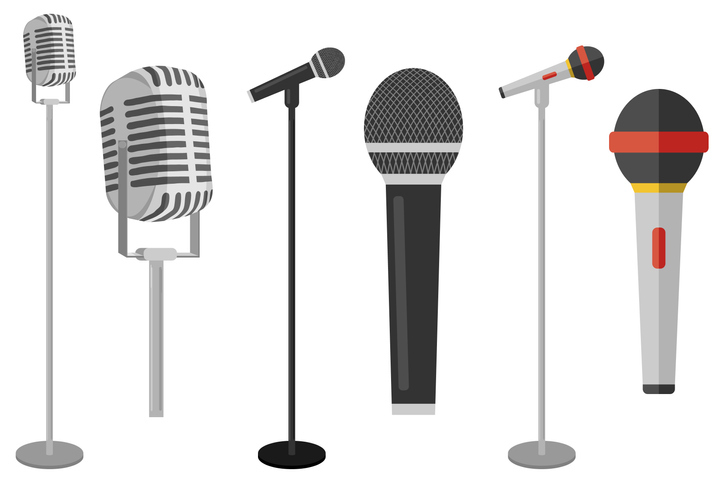 What is the single most important thing pastors need to know about microphone selection? Pastors must be able to trust their microphones, whether wired or wireless, without question. This goes for the transmitters, receivers, software and any other associated equipment, including antennas, cables and the like. It’s one thing to use wireless equipment for “weekend warrior” duties, but another thing altogether for mission-critical use in an environment where technical distractions can bring people’s attention off-message. Not only must the equipment be reliable, but it should be easy to install and use so that confusion is avoided on the part of any staff or volunteers during installation and setup. Owner’s manuals need to be clear and concise, menus and interfaces must be intuitive, and there should be indicators on the equipment giving everyone the confidence that the system is working as expected. Trust must also extend to the manufacturers and suppliers of the equipment, as well — knowing the microphone or wireless systems were sourced responsibly through companies that care about them and their message is worth long-term peace of mind. There’s a big difference between suppliers of professional equipment and those that handle consumer-grade gear meant for amateurs. If there are ever any problems with the equipment, the manufacturer and their people must be responsive and caring in their approach to solving the trouble, whether the equipment has failed or has merely been set up incorrectly, and to handle those situations with diplomacy and tact. The pastor’s mic is the single most important microphone a church owns. It’s the first element in the audio chain for getting the Word out to both the live congregation and anyone listening from another campus, streaming from a mobile device or watching later in the week. I would also bet that the pastor’s mic spends more time in use than any other mic, since the message typically takes the most amount of time in a service. For these reasons, it’s crucial to choose a mic with the highest level of intelligibility. Choose the microphone for you — with the best fit, feel and sound for your unique person and space. An omnidirectional mic will pick up the room more than a directional mic, which rejects more stage noise. So, consider which works best for you. Remember: not all mics are created equal. You get what you pay for. Since the point is to have the message heard clearly, spend a little more upfront to get the one you want. Chances are, going cheap means you’ll replace or repair the microphone more often. Try before you buy. Demo the mic to make sure it’s the right choice. This helps ensure you’re making the best choice possible with the resources you’re given. I’ve run sound in churches since I was 13, working with everything from really expensive, professional broadcast-grade setups to small systems that have been piecemealed together. Problems arise when budgets are constrained, but the expectations of audio sonic quality aren’t always one of them. Sound quality starts with the pastor’s microphone. So, if you’re making an investment, start there. Pastors need to realize the impact their microphones have on the worship service. It’s the one device that translates their voices not only into the sound system, but out for streaming and recording. When a mic is attached to a sound system in the room, the speakers have their own tone and sonic qualities. When that mic is recorded to a broadcast or streamed out to live TV on the web, what it is (or isn’t) picking up from the room is important. Remote viewers hear things live parishioners won’t. But even though the pastor’s mic is the first step in a quality audio chain, it’s one of the most overlooked purchases by churches. Often, it’s misunderstood technology; unlike other purchases a church might make, not all microphones are manufactured equally. They vary in sonic quality and in physical quality. Investing in a higher-quality microphone not only reproduces a more natural-sounding voice, but — as an added benefit — is a much more stable mic. This reduces some of the adjusting that the tech team needs to do to achieve a feedback-free, clean voice reproduction. And, the right mic has the ability to withstand years of service.